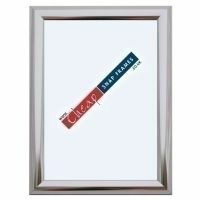 A Sized Magnetic Notice Boards - for A4, A3, A2, A1 and A0 sized notices. Also now available in B-sizes; B2; B1 and B0 as well as 20x30 inches, 30x40 inches and the huge 40x60 inches. 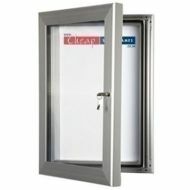 These magnetic notice boards have an anodised silver frame, are key lockable and can be used outdoors or inside. They have a white steel back that can either be used as a dry wipe board, have have notices held in place with magnets. A well made outdoor notice board at a cheap price. Delivery cost only £10 + VAT to London and the UK mainland.